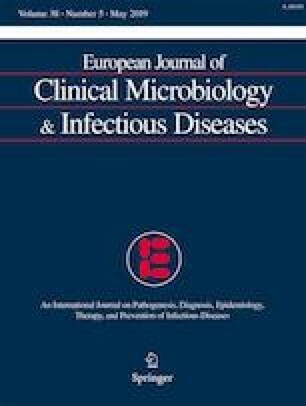 To investigate the predictors and burden of hospital readmission with recurrent Clostridioides difficile infection (rCDI) in a large European healthcare system with a low prevalence of hyper-virulent C. difficile clones. We conducted an inception cohort study based on an exhaustive health insurance database and including all survivors of a first hospital stay with CDI over a one-year period (2015) in France. Readmissions with rCDI were defined as a novel hospital stay with CDI within 12 weeks following discharge of the index hospitalization. Risk factors for readmission with rCDI were investigated through multivariate logistic regression analyses. Among the 14,739 survivors of the index hospital stay (females, 57.3%; median age, 74 [58–84] years), 2135 (14.5%) required at least one readmission with rCDI. Independent predictors of readmission were age ≥ 65 years (adjusted odds ratio (aOR), 1.34, 95% confidence interval (CI), 1.21–1.49, P < 0.0001), immunosuppression (aOR, 1.27, 95% CI, 1.15–1.41, P < 0.0001), chronic renal failure (aOR, 1.29, 95% CI, 1.14–1.46, P < 0.0001), and a previous history of CDI (aOR, 2.05, 95% CI, 1.55–2.71, P < 0.0001). The cumulative number of risk factors was independently associated with the hazard of readmission. Mean acute care costs attributable to rCDI were 5619 ± 3594 Euros for readmissions with rCDI as primary diagnosis (mean length of stay, 11.3 ± 10.2 days) and 4851 ± 445 Euros for those with rCDI as secondary diagnosis (mean length of stay, 16.8 ± 18.2 days), for an estimated annual nation-wide cost of 14,946,632 Euros. Hospital readmissions with rCDI are common after an index episode and drive major healthcare expenditures with substantial bed occupancy, strengthening the need for efficient secondary prevention strategies in high-risk patients. The online version of this article ( https://doi.org/10.1007/s10096-019-03552-9) contains supplementary material, which is available to authorized users. Concept and design: A. Dinh, S. Alimi., A. Duburcq and F. Barbier. Acquisition of data: C. Emery, E. Torreton and A. Duburcq. Statistical analysis: C. Emery, E. Torreton and A. Duburcq. Interpretation of results: A. Dinh, A. Le Monnier, A. Duburcq and F. Barbier. Writing of the manuscript: A. Dinh, A. Le Monnier and F. Barbier. This study was supported by MSD. The database exploited for this study is registered at the Commission Nationale de l’Informatique et des Libertés (registration number, 2019044), in compliance with French law on electronic data sources. The protocol of this retrospective observational study was not submitted to an ethical committee since all data were fully anonymized at baseline. FB: MSD (conference and lecture fees, conference invitation), Pfizer (conference invitation), BioMérieux (conference fees). AD: MSD (conference and lecture fees, conference invitation), Pfizer (conference invitation), InfectoPharm (conference and lecture fees), Sanofi-Pasteur (conference and lecture fees), Correvio (conference and lecture fees). ALM: MSD (conference invitation), Astellas (conference and lecture fees, conference invitation), Pfizer (conference invitation), Cepheid (conference and lecture fees), bioMérieux (conference and lecture fees), Sanofi-Pasteur (conference and lecture fees). Other authors: no conflict of interest to declare.